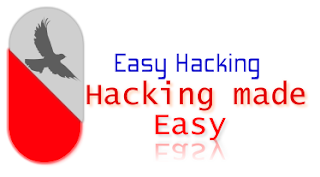 Vodafone have launched three new smartphones powered by Android using their own brand name. The phones are known as the Vodafone 945, Vodafone 553 and Vodafone 543 Miss Sixty Edition Android phones. This image above is the Vodafone 945, a smartphones that will comes with 3.2-inch 240×400 capticitive touchscreen, 5-MP camera + LED Flash, running with Android 2.1, has 300MB internal memory and expandable via microSD/SDHC card. 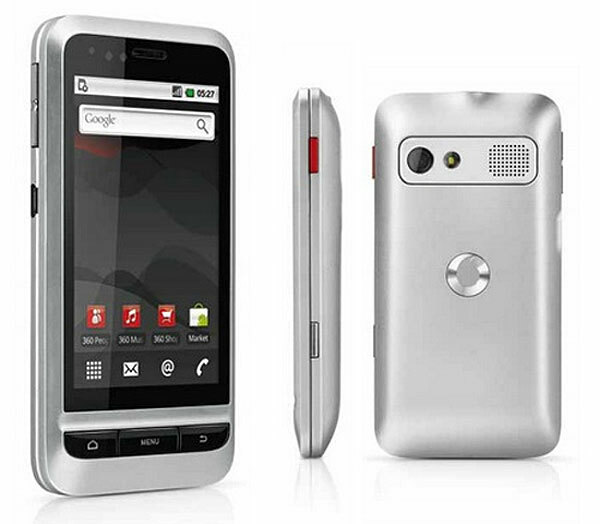 Vodafone 945 is also supporting Bluetooth, GPS, WiFi, and HSDPA connection, and it will be available in black and silver color choices. 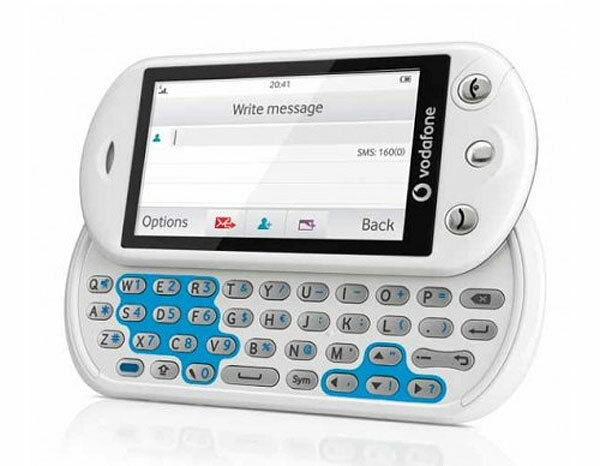 Now this one is the Vodafone 553. 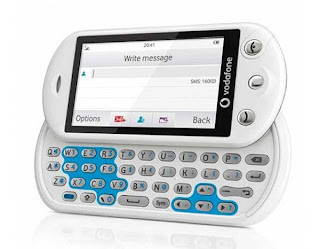 Vodafone 553 Android phone is a side-slider QWERTY phone, means it has a full Qwerty Keyboard access instead of using virtual keyboard for typing. The phone has 2MP camera, expandable storage via microSD card, should be coming with Android 2.1 too, and the phone has Vodafone’s 360 People address book that would bringss various contacts into one place. For browsing, Vodafone 553 has been pre-installed with Opera Mini 5.0 mobile browser and it has the ability to hook up with social network sites with a push of button. 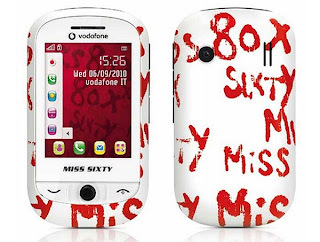 The last but not least, Vodafone 543 Miss Sixty Edition Android smartphone is coming with Miss Sixty cover style along with the phone accessoires with colorful, on-trend graphic that is one part of the Miss Sixty brand.